We are engaged in offering our clients a wide range of precision toolswhich are immensely used for cutting purpose in various industries. Our range of products is procured from leading vendors who are known for providing quality product. 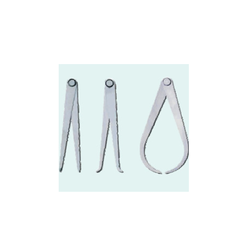 Our range of precision tools includes spring callipers & dividers, radius guage and dial comparator stand. 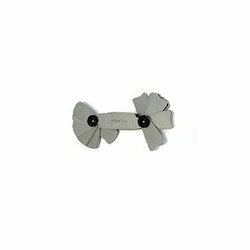 We are considered to be one of the foremost and prominent traders and supplying the array ofFirm Joint Calipers. As per the variegated requirement of our clients, we are offering a broad collection of Spring Calipers & Dividers. Provide for firm joining support and allows adjustment of tension, offered dividers are manufactured using top notch quality raw material and modern technology by our adroit professionals. So as to ensure the quality, these dividers are tested on varied quality measures by our quality examiners. In addition to this, customers can avail these dividers from us at pocket friendly prices. 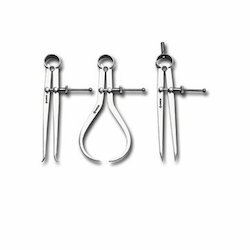 Backed by a diligent team of professionals, we have been able to manufacture, export, import, wholesale and supply an excellent range of Radius Gauge. We manufacture this gauge by making use of excellent quality raw material and cutting edge technology in adherence with industry standards. To offer qualitative product from our end, this gauge is tested by our quality examiners on varied parameters. Used for checking radii of tools and dies and allows for fast and easy handling of process, clients can avail this gauge from us at affordable prices. Since our inception, we are instrumental in offering premium quality Dial Comparator Stand. Besides being manufactured from premium quality raw material and ultra-modern technology, this comparator stand is tested by our quality controllers. Due to its varied features like easy usage and corrosion resistance, this comparator is exceptionally valued in the market. 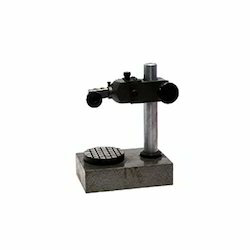 Coming with fine adjustment knob support for zero setting, this comparator stand is available with us in diversified specifications and shapes at affordable price. With the valuable assistance of skilled team of professionals, we are offering an extensive range of high quality Sine Bars. Perfect tool for angular inspection and measurement, offered bars are manufactured using the best quality raw material and advanced technology in adherence with industry standards. 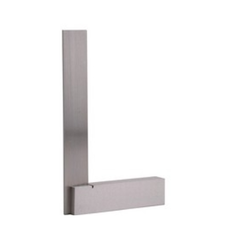 Our provided bars are highly acknowledged for their light weight and high strength. 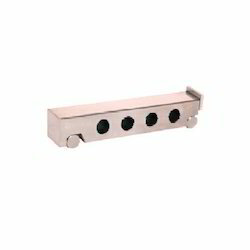 Moreover, we provide these bars in different sizes and designs at market leading rates. Looking for Precision Tools ?